The first and only campsite in Makati central business district has been opened—amid the lush greenery and tasteful landscape of the Ayala Triangle Gardens. Before adventure junkies out there start packing tents and camping gears, this campsite might not be what you think. 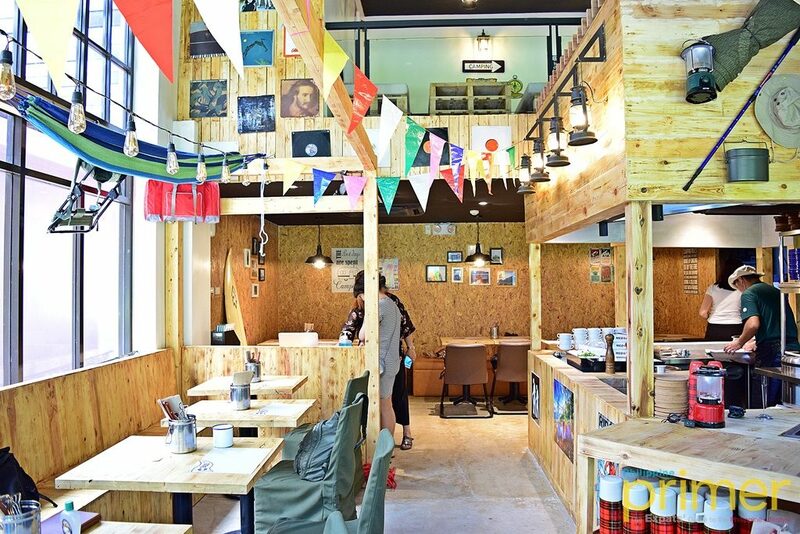 CAMP Curry is a restaurant concept from Tokyo that takes people on a gastronomical adventure through Japanese curry. CAMP was first opened in Tokyo in 2007 by one adventurous man, Takashi Sato, who loves camping and the outdoors. The restaurant strongly resonates with Sato and his passions. Every corner is done up with items like camping backpacks and lanterns, as well as framed photos and signages related to travel and adventure. 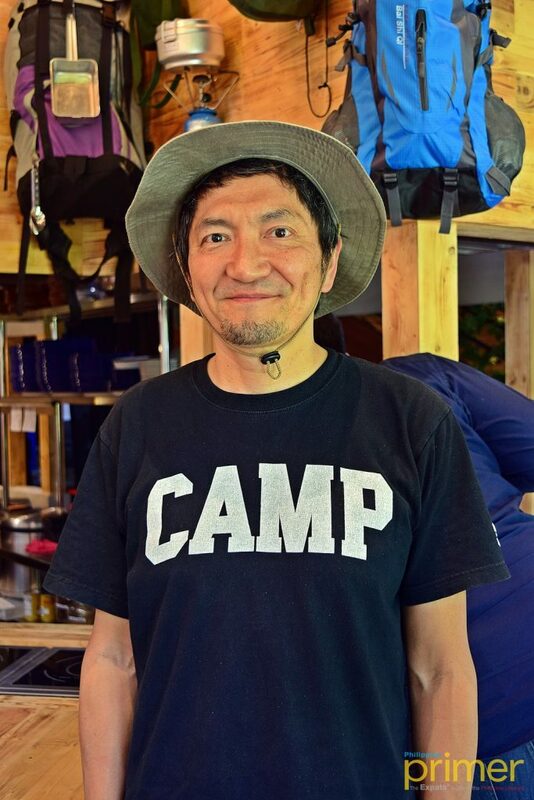 Takashi Sato is a passionate camper who founded CAMP in Tokyo. The specialty of the restaurant, curry, seems to be a very apt dish for this theme. According to Sato, curry is a very common camping food in Japan because it’s easy to make, delicious, and energy-boosting. It is even said to be a favorite military food. 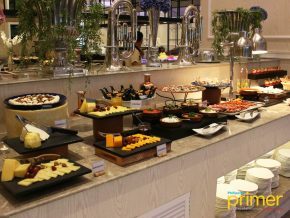 Amid the row of restaurants at Ayala Triangle Gardens, CAMP is the only place that gives dining a refreshing sense of excitement. This Japanese restaurant is all about adventure. Try different flavors. Try the ones you’ve never tasted. Try different combinations of meat and curry sauces. Do not hold yourself back! 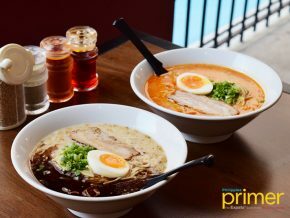 One of the master’s recommendations is BBQ Pork Belly & Brown Keema Curry (Php 330), a combination of flame-grilled meaty pork belly and a smooth and well-balanced curry sauce that’s original from Tokyo. Just like what Japanese curry is best known for, CAMP’s Brown Keema Curry has the right consistency and a balance of flavors. It also has a distinct texture due to minced chicken and a combination of at least 10 spices. Another recommendation is BBQ Beef & Green Vegeful Curry (Php 390), a mighty dish that’s sure to boost your energy and mood. 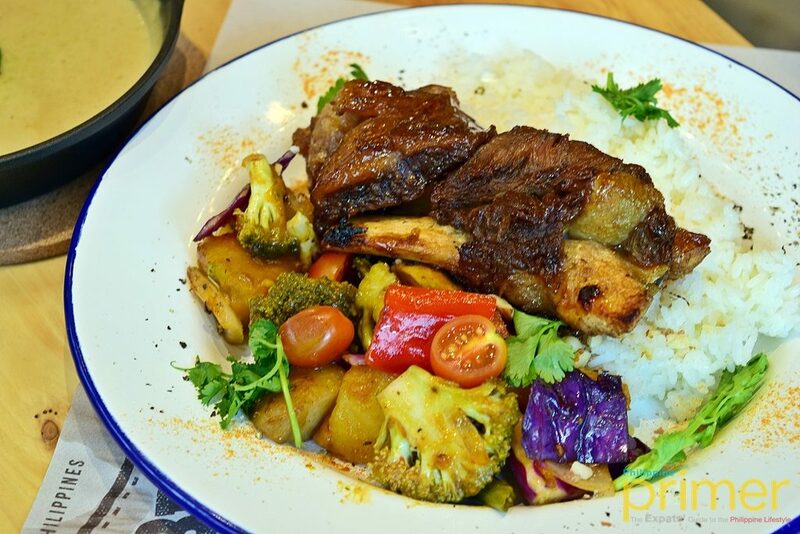 150-gram tender beef short ribs get more charm with CAMP’s creamy and spicy curry sauce, a new recipe that is first to get introduced to Manila. 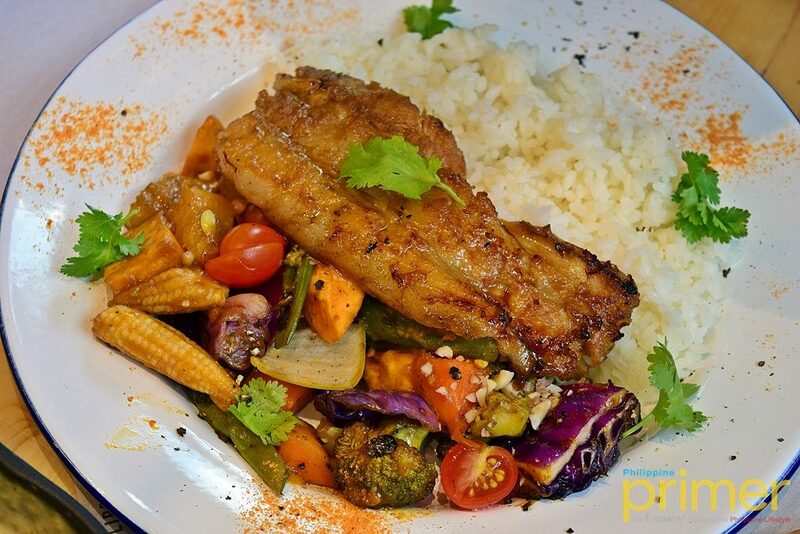 The Green Vegeful Curry is a cross between Japanese and Thai, making use of Thai curry paste and wasabi. You also have the freedom to create your own combination if you want a dish with another curry. There are six main dishes and three curry sauces to choose from. Mix and match until you get the perfect combination! 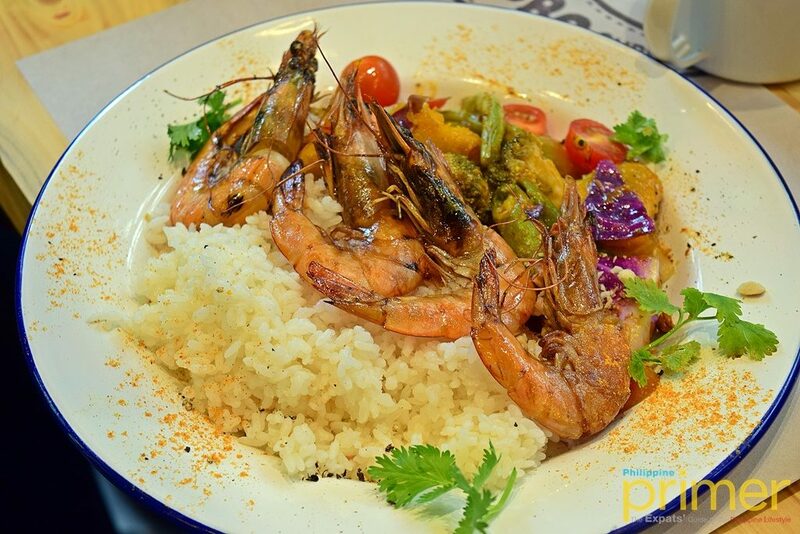 For seafood lovers, a must-try is BBQ Shrimp & Chunky Vegetables with Red Bisque Curry (Php 420), a new curry sauce that has been specially created for the foodies of Manila. 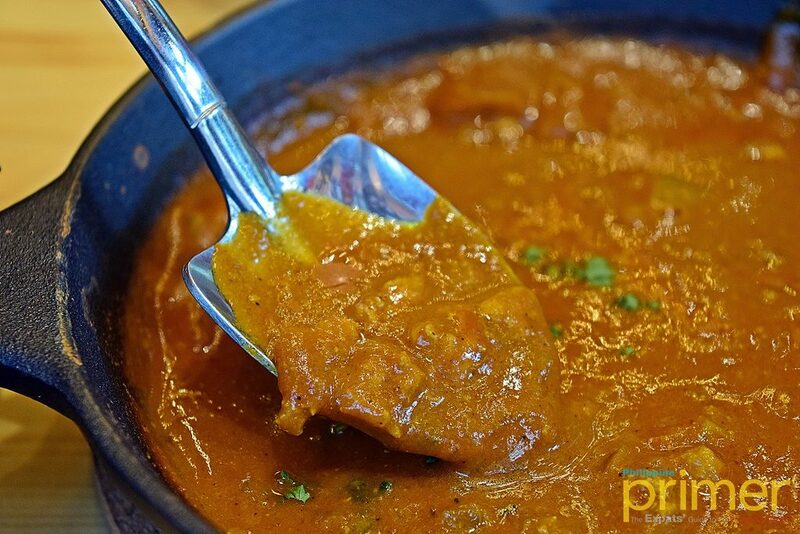 The sauce is made in-house with fresh shrimps, tomatoes, and a special curry base. 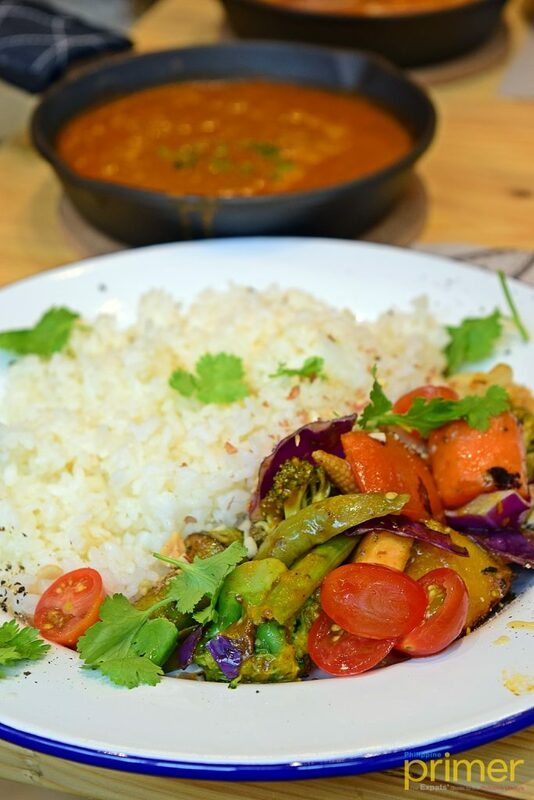 For the diet-conscious, the perfect dish is Fully Loaded Chunky Vegetables with Brown Keema Curry (Php 230). All of the curry sauces at CAMP are made from scratch, which means that you can enjoy a fresh and hearty serving of curry every time. You can even enjoy a “live show” of curry-making right at their open kitchen. 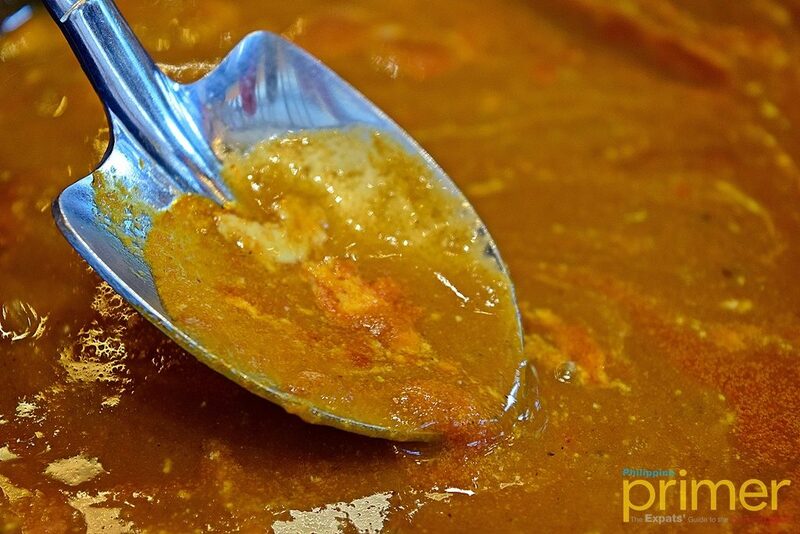 Filipinos and non-Japanese expats might not be hugely familiar with Japanese curry. 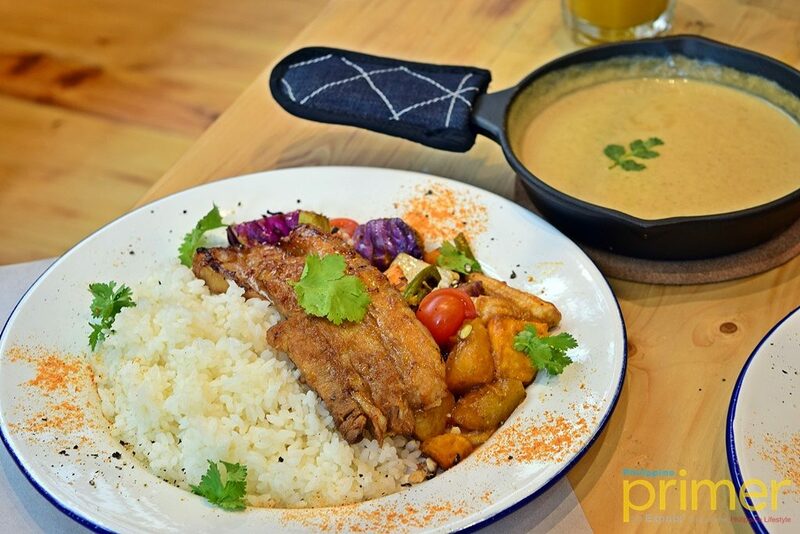 It’s important to note that Japanese curry is distinct from Filipino curry, Indian curry, and Thai curry. To understand what this Japanese comfort food is and why many people in Japan adore this dish, head on over for a curry adventure at CAMP! This also appears in Philippine Primer Japanese Magazine’s June 2018 issue.